Activ8 is committed to inspiring the adult community to get active as well as kids. We are working with other agencies to develop programmes to inspire and motivate a healthy active lifestyle. We have an exciting fitness programme running which aims to develop overall strength, flexibility and fitness. Adults of any fitness can come along with or without their children. We offer free childcare whilst you take part in the session and encourage the children to watch and join in where appropriate. Our coaches are trained in adult fitness and can advise you on appropriate exercises and can alter the given tasks to suit any injuries or health concerns. All participants are required to complete a PAR Q before starting. 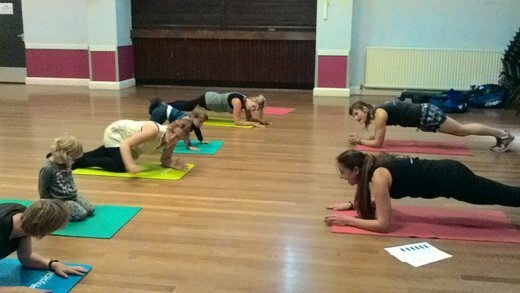 Adult Fitness is held at Lancing Parish Halls 11.00 – 11:45am on Wednesdays. Cost is £4.00 per week, with an offer price of just £1.00 for your first taster session. The price includes FREE childcare for the duration of the session.